One of the greatest benefits of working for Chesapeake NetCraftsmen is the constant encouragement to attend industry events and participate in the technical community. In my case, that means going to VMware events when they're in town. Last Thursday, the VMware Public Sector Technology Exchange East 2013 set up shop in the Grand Hyatt in Washington, D.C., and I had a chance to attend and listen to some great sessions on cloud vs. virtualization, security and compliance, and end-user computing. Honestly, I really just wanted to hear Scott Lowe's keynote on VMware's network virtualization strategy. He didn't disappoint. He laid out the progress made through compute virtualization over the last ten years, and explained that network virtualization is the next logical step. The logical construct of the "virtual network" is the foundation for VMware NSX, a product which seeks to provide a virtual network infrastructure on top of an existing layer 3 network. Read the product announcement here. ~40% of VMware administrators manage the virtual switches for their environment. I really thought this would be much higher. Half of all server access ports are virtual. This should be a wake-up call to people stuck on the traditional physical switch approach. VMware NSX requires vSS or vDS. Cisco's 1000v cannot be used with NSX. Given low adoption and increasing feature-set from the vDS, this shouldn't affect too many people. I also got a chance to talk with a few vendors about their products, ran into some colleagues from Cisco and F5 (including the guy who inspired me to pursue virtualization, Lyle Marsh, who is wicked smart and funny as hell), and managed to keep the swag to a minimum. I highly recommend attending these local events. If you can sneak out of the office for a day, it's a great way to learn and network with your peers. I posted an article on how to update your VCSA to 5.1 U1 over at Chesapeake NetCraftsmen. Go check it out, and take a few minutes to browse through the other staff blogs there. I won't be offended. Promise. Take your classic SAN-attached server topology. You've got a server connected to a FiberChannel network, an FC switch or two, and a pair storage processors at the other end. On your server, you've got an application that relies on the SAN to provide its data. While CPU speed and core density increase, and memory capacity improves, storage latency is largely unchanged. Enter server-side flash. Server-side flash acts as a cache for data on your SAN. Each time your application needs to read data from the SAN, that data is cached on the flash card. The next time that data is requested, it's read from cache, which greatly reduces the time it takes to access the data. It's cool stuff. Fusion-io is a big player here, but there are others as well. PernixData's FVP (flash virtualization platform) software promises to take all of your server-side flash and make it available for your hypervisor. There's not much technical information available on their web site yet, so the details of how this will be implemented are unknown. Duncan Epping and Frank Denneman posted great write-ups of the company and its technology on their blogs; they're privy to more technical information than most. I would guess it will work like a VSA: create datastores on local flash, then replicate those datastores out across your cluster. In my opinion, PernixData has a solution to a problem you wish you had: what to do with all that server-side flash. Flash is still somewhat expensive, and it's not common to see server-side flash in small to mid-sized environments. But take a look at some of the people behind PernixData. They're not just techies; they're some of the guys who made VMware the virtualization powerhouse it is today. They're probably not far off in their thinking, just a year or two ahead. Incidentally, I traded a few messages with Satyam Vaghani over the weekend via LinkedIn. I'm happy to share that he's not only a wicked smart guy who can say things like "wrote VMFS" on his resume, but he's also a nice guy who's happy to meet people in the industry. Keep an eye on PernixData. They're onto something here. Let me start by saying that this is a bad idea: running an ESXi host in VMware Workstation on a VM running within Fusion. You're getting into I N C E P T I O N territory here. The intrepid among you may forge ahead regardless of the warning. If so, here's a quick tip. 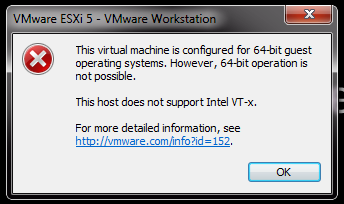 Check this box, boot up your VM, fire up Workstation, and ESXi will start up without complaining. Isn't vCenter Operations Manager great? Finally, you can do something with all the data that vCenter has been quietly and dutifully collecting over the years (you knew it was doing that, right?). vCOPS is a vApp that consists of two VMs: one to run analytics on vCenter's collected data, and one to handle the presentation components of the application. To work properly, these two VMs need to communicate with one another, and with vCenter. But what do you do if the IP address for one of these hosts changes? In this example, I'm trying to access the GUI on the UI VM at 192.168.1.19. But I'm getting an error message that indicates the UI VM cannot communicate with the Analytics VM. First, confirm that the Analytics VM has, in fact, decided to use a different IP address (this happens on lab networks often, when DHCP is used for IP allocation. Please don't do this in production. :) ). Use your vSphere Web Client to see the address it's using. 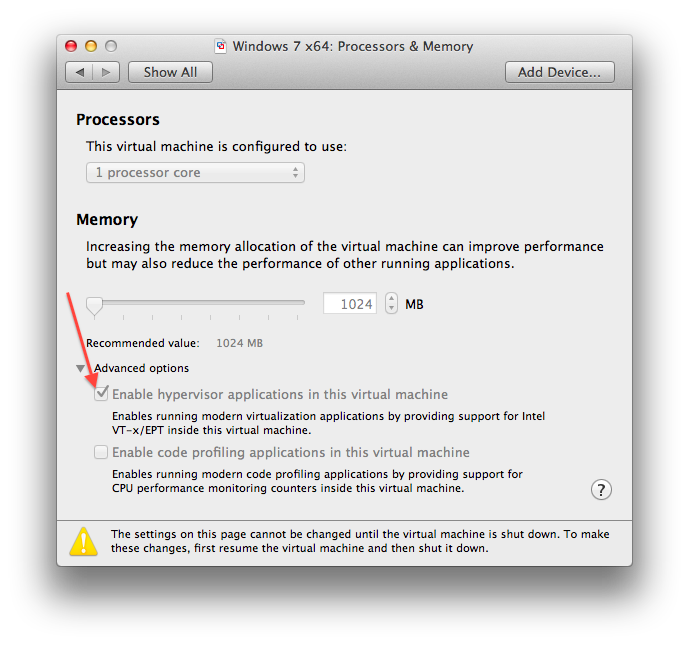 Notice in the image below that the VM is using 192.168.1.68, while the UI VM is expecting it to be at 192.168.1.4. To correct this, you'll need to connect to the VM either via ssh or the remote console. Remember that to connect to the shell, you'll use the root account (admin is used only for the GUI). Changing the IP address of the Analytics VM requires the use of a utility named vami_set_network. This utility is located in /opt/vmware/share/vami. It's easy to correct this problem. You'll pass a series of values to this utility, and it changes the properties of your ethernet adapter for you. A few assumptions: you are using eth0 for your VM (this is the default interface), and you are using IPv4. Give vCenter a minute to detect the IP change and refresh the Summary page for this VM. Then you'll see that the IP has been properly changed. Now when you browse to the vCOPS UI, you'll get the login page that you were looking for. Connect to the IP of your UI VM, and add /admin to the URL (e.g., https://192.168.1.19/admin). In the Application Controls tab, click the Restart button. This will take about 5 minutes to stop and start the application. Log out of the admin console, and refresh the vCOPs login page. Getting familiar with the utilities in /opt/vmware/share/vami is a GOOD THING. Spend some time learning what's there. I have a feeling that all virtual appliances from VMware will share this same framework, which means these skills will come in handy in the future. Fans of SNES and Minecraft will want to check out a great project named "The Legend of Zelda: A Block to the Past." It's a highly accurate recreation of the SNES classic, and is surprisingly playable to boot. It's not a mod, it's a map and a texture pack. I'm not a fan of mods, since they have the potential to mung up more than just Minecraft. "When you start the game, you'll start in Hyrule castle." "It's kind of like a dungeon." I've verified all the statements above. They are correct. Check out the project here. Enjoy! I wrote a post on using the das.isolationaddress and das.usedefaultisolationaddress Advanced Options to decrease the likelihood of a unnecessary isolation response. Head over to www.netcraftsmen.net and check it out! I've been driving a 2005 Volvo S40 for about 8 years now. It's a great car. No major problems with it, decent gas mileage, and a great sound system. But at almost 150,000 miles, the car has seen its share of minor annoyances. Lately, the windshield washer fluid hasn't been spraying from the hood-mounted nozzles. This was a problem in the winter months, when salt and dirt build up on the windshield. So I took a few minutes yesterday to find the problem. First, I wanted to see what was happening when I pulled the washer fluid level in the car. So I opened the hood and got a friend to pull the lever. Fluid sprayed out EVERYWHERE! All over the engine and battery, and even over the front of the car. But doing this let me see exactly where the problem was. The problem: missing cap on the bottom. At the back of the hood, the tubing for the washer fluid runs from the right corner to both nozzles. And a small piece of plastic (sometimes called a vacuum T) joins two pieces of hose together just before the first nozzle. 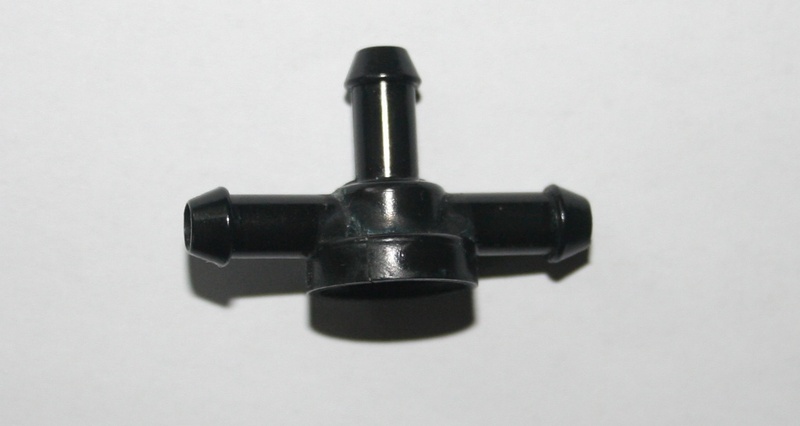 The problem is that this connector is supposed to have a small plastic cap at the bottom. Without the cap, the washer fluid just sprays out of the bottom, and never makes it to the nozzles. The good news is that you can get this part for a few bucks at any decent auto parts store. Pop it in place, and you're back in business. What does this have to do with Datacenter Virtualization? Nothing. But I like to take things apart and figure out what's broken and how to fix it. And believe it or not, I don't spend all my time in the data center. Just most of it.